Comparison feels bad. In high school, my older sister was very popular and athletic. I was neither of those things. I realize now that I had plenty of strengths, too, but at the time they didn’t make up for my lack of social standing or athletic prowess. Every time someone compared us, I was reminded that I was deficient in these areas. 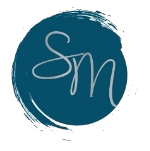 Comparing us didn’t recognize my strengths; it only highlighted the areas I felt lacking in. As we grow up in families and a society full of comparison, we internalize these feeling of not being “as good as” or “not having enough”. We compare ourselves to others looking to see how we measure up. The problem is that comparison only works to validate our fears and self-doubts. It never leaves us feeling better about ourselves. We can always find someone who is thinner, drives a nicer car, or has a picture-perfect marriage. We will seek out these comparisons and use them as proof that we’re not as good or worthwhile as other people. We compare ourselves to others when we feel unsure of ourselves, thereby ensuring that we end up feeling inferior. Why does it matter what anyone else is doing or what anyone else has? The fact that your neighbor can afford a new car every year or your brother got a promotion has nothing to do with you. Their successes (or failures) don’t mean you’re deficient (or superior) in any way. We’re all separate and unique people with our own strengths and imperfections. Sometimes we act as if there’s a limited supply of worthiness and some of us have to fall short by comparison. Instead, let’s remember that we’re all worthy. Often the things we use as the basis for these comparisons aren’t really the things that matter. We can only compare ourselves on things we can outwardly see such as physical appearances, tangible accomplishments, and material possessions. It’s much harder to compare ourselves on the things that really matter – kindness, generosity, perseverance, open-mindedness, honesty, and respect. These are much harder to measure, so we overlook them even when we value them. Comparison is insecurity plain and simple. The most effective way for me to stop comparing myself to others is to name the insecurity that’s fueling it. I say to myself, “You’re feeling insecure. You’re measuring your worth based on how much you weigh compared to someone else. You’re judging yourself on something meaningless and deeming yourself less than. That’s not fair or accurate.” This allows me to be fully aware of what I’m doing and why I’m doing it. Awareness is always where change begins. Now, I can change the way I’m thinking and talking to myself and offer my insecure parts compassion and reassurance rather can judgment. If you must compare, only compare to yourself. Self-comparison is actually the only fair comparison. 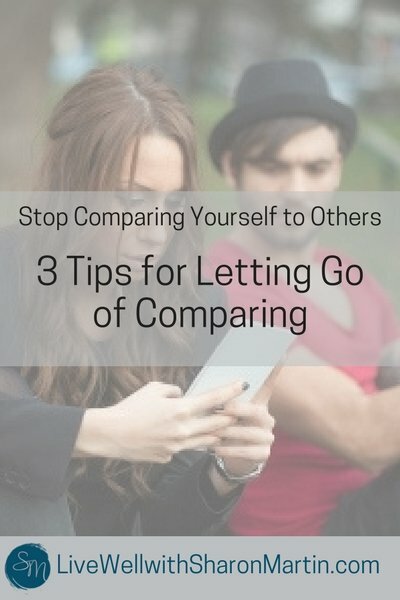 Instead of comparing yourself to Cindy in the next office or Zack who teaches your yoga class, try thinking about how you’re doing in comparison to who you were or what you could do last month or last year. We’re looking outside ourselves for proof of our worth when we really need to be looking within. We all know that social media primes the comparison pump. It’s so easy to notice how much happier everyone else seems to be online. Remind yourself that we’re only seeing the shiny exterior of people’s lives, the stuff they want us to see. We have no idea what’s really going on in the real story of their lives — and chances are it’s a lot messier than those photos on Instagram or Facebook. To stop comparing, we need to bring our focus back to ourselves. Comparing ourselves to others can’t heal our insecurities and is an unnecessary and unkind way to measure our worth. The bottom line is that our self-worth doesn’t depend on what anyone else has or does. There’s enough worthiness for all of us! Yes! I couldn’t agree with these points more. 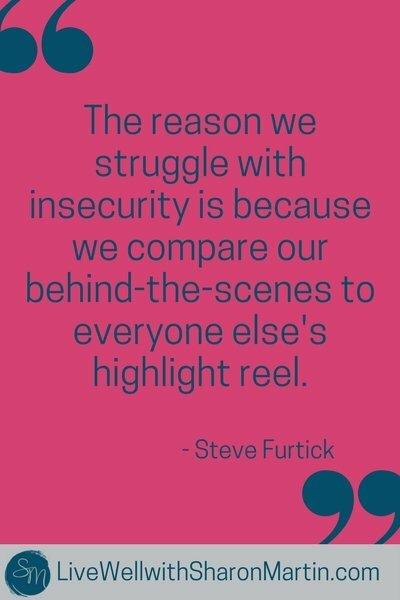 🙂 It can be so easy to think others are doing better than you when in actual fact they are just sharing their ‘highlight reel’ and behind the scenes, things are not so peachy. I’m so thankful I found you on the web! You’re doing, by providing, so many of us going through mental health care issues/diseases with tools not often set forth in our own individual treatments! Ive been doing ‘life,’ in the private agonies of illness, and seen far less, yet much more horrifying therapeutic environments; out and inpatient settings! It is 2017, and the stigma persists! Insurance companies will not pay providers enough, therefore, too many of us are going without quality treatments, or none at all! Medications, often needed, deal out vast side effects, with consequences one doesn’t always have much choice in using to remain some sense of stability! However, THERAPIES that guide people up and out of ‘thoughts, feelings & actions, etc, are a MUST! These ‘handouts’ can be paramount in assisting those of us who want HELP! I appreciate everything you’re doing to reach out to the mental health communities!